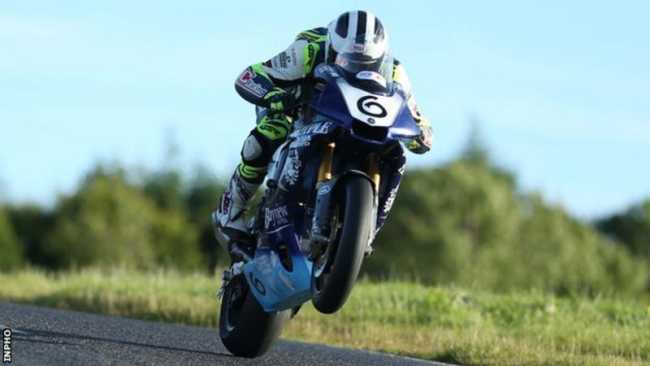 William Dunlop is to ride Temple Golf Club Yamaha machinery at the three international road races in 2018. The 32-year-old borrowed team owner Tim Martin's bikes for 2017 but the Lisburn businessman is returning to the sport full-time after a one-year sabbatical. Dunlop will ride R1 Superbike and Superstock bikes, plus a Temple & Caffrey-backed Supersport Yamaha. The team will also contest the opening British Superbike rounds, plus a few other events yet to be confirmed. Their primary focus however will be success at the North West 200, Isle of Man TT and Ulster Grand Prix. Last year Dunlop impressed in qualifying for the Ulster GP, becoming the first man to break the 200mph barrier, but eventually had to sit out the event because of injury. "I have watched William from a distance for years and made no secret of the fact I think he is a natural talent with the potential to beat anyone," said team principal Martin. "I've also spent a lot of time developing the R1M without turning the potential into results so the opportunity to put the two together and prove people wrong was just too tempting to resist. "The bike has been completely revamped since we were last on track and we have put together a good team with everything William asked for. I'm thoroughly looking forward to being back in the paddock and to finally working with William." "My supersport package has always been strong but for the last two years I have been given competitive big bikes but not the budget to run them properly. "Tim stepped in and gave me everything I wanted for the Ulster GP last year and the bikes were transformed, I wasn't riding well but was still competing for pole position in qualifying so I knew then what I wanted for 2018. "To have my team and bikes ready to go in January takes away so much pressure. I am mentally and physically in better condition than ever and looking forward to going testing."